L’Oreal launched Color Riche Le Smokey range of eyeliner pencils last year in 8 shades and I am reviewing a beautiful purple color- Purple Dream 211 in this post. L’Oreal Paris Color Riche Le Smokey eye pencil is a double ended wooden pencil with eyeliner at one end and the smudger at the other end. 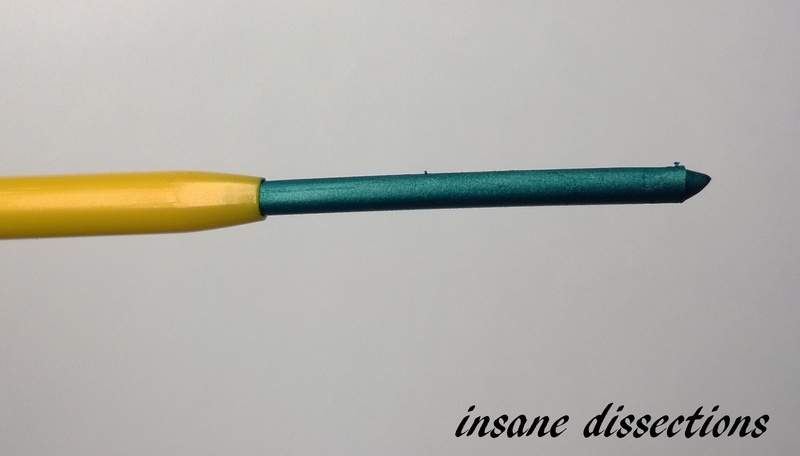 Both the ends of the pencil are fitted with transparent, plastic caps which can be interchanged. The color of the eyeliner pencil is coordinated with the eyeliner shade making it easier to sort if you have multiple shades from this range. The design and gold detailing gives a classy touch to the packaging, but the gold detailing starts to fade after sometime. 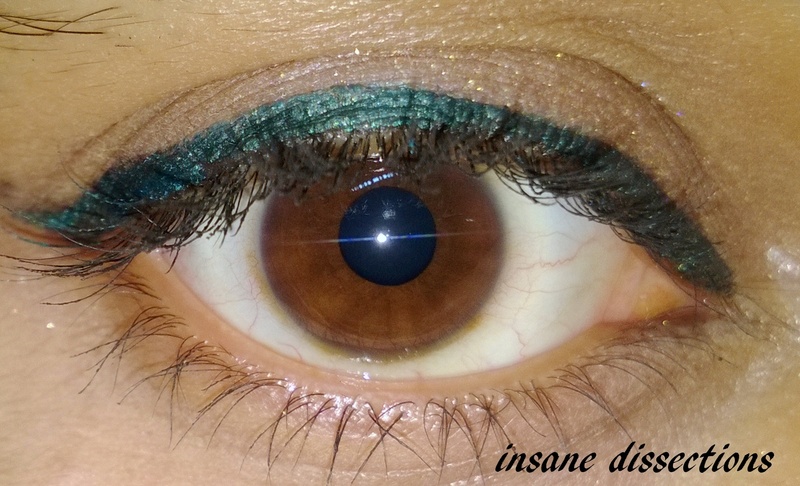 Purple Dream is a blackish purple color which looks amazing on brown eyes. I can’t get enough of purple eyeliners. I feel green and purple look best on brown eyes. (I have reviewed my fav green eyeliner HERE ). L’Oreal Color Riche Le Smokey eye pencils are soft and creamy and glides easily. It does not tug or pull on the eyelids. 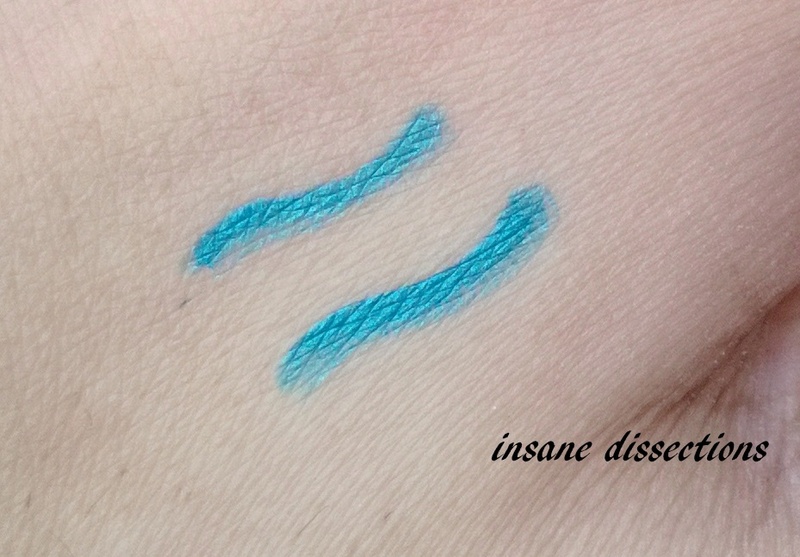 These are intensely pigmented and one need not swipe multiple times for better color. One swipe gives full coverage. These are matte eyeliners. When I apply this on waterline as kohl, it does not sting or makes my eyes dry. The smudger has dome shaped sponge tip which is decent and does an excellent job in smudging to create a smokey look. However, these eyeliners are not smudge proof and do smudge when rubbed. 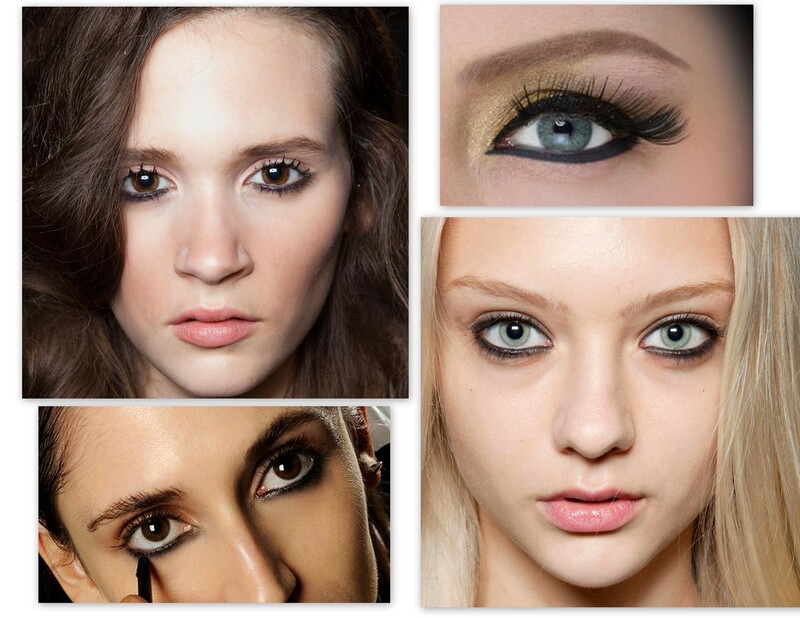 At the end of the day half the pigmentation fades off, whether worn as eyeliner or kohl. The smudging is more if you have hooded eyes or oily eyelids. This is a long pencil and quantity is sufficient. But it needs to be sharpened which leads to product wastage. Overall, L’Oreal Paris Color Riche Le Smokey eyeliner pencil Purple Dreams is a beautiful blackish purple eyeliner with a smudger at the other end. 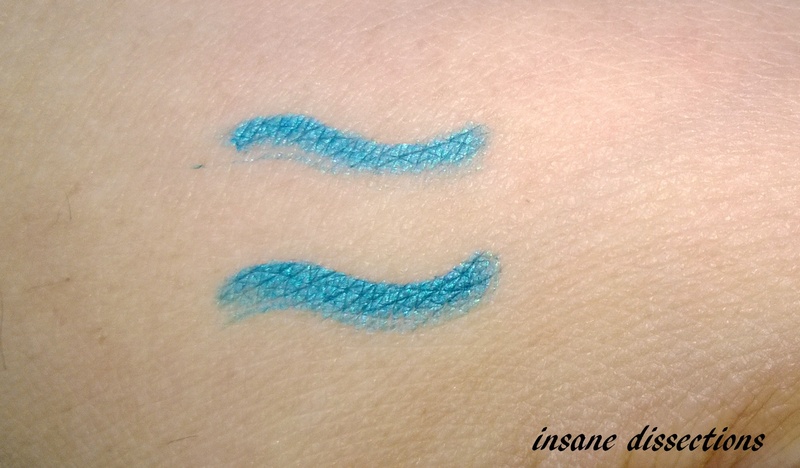 It is highly pigmented and easy to apply but it is not smudge proof. Also, this needs to be sharpened which leads to product wastage. This is not smudge proof and it will smudge especially if you have hooded eyes and oily eyelids. I will probably not repurchase this as I like retractable eyeliners with smudge proof finish. Who loves the color Blue? Speaking of blue… can’t get the Honey Singh song out of my head- Blue eyes hypnotize teri…kar di hai mainu…. I hate yo yo’s songs and his lyrics but you’ve got to admit they are kind of addicting. Anyways, this new product from Maybelline is a win among girls whose staple is kohl lined eyes. 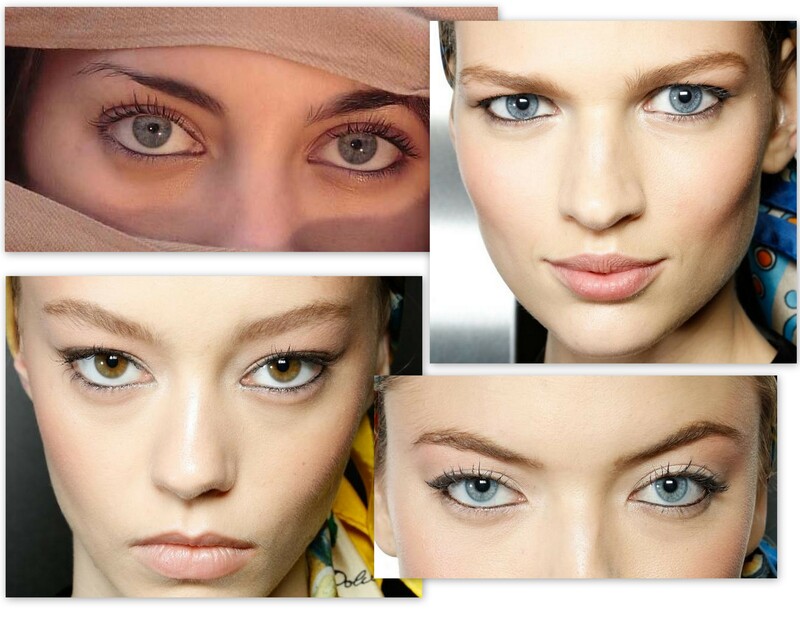 By the way I have written about different ways to apply your kajal HERE. Go all out with glamorous eyes in the most exciting Colossal Kohl – Turquoise which LINES like a Kohl and DEFINES like a liner. 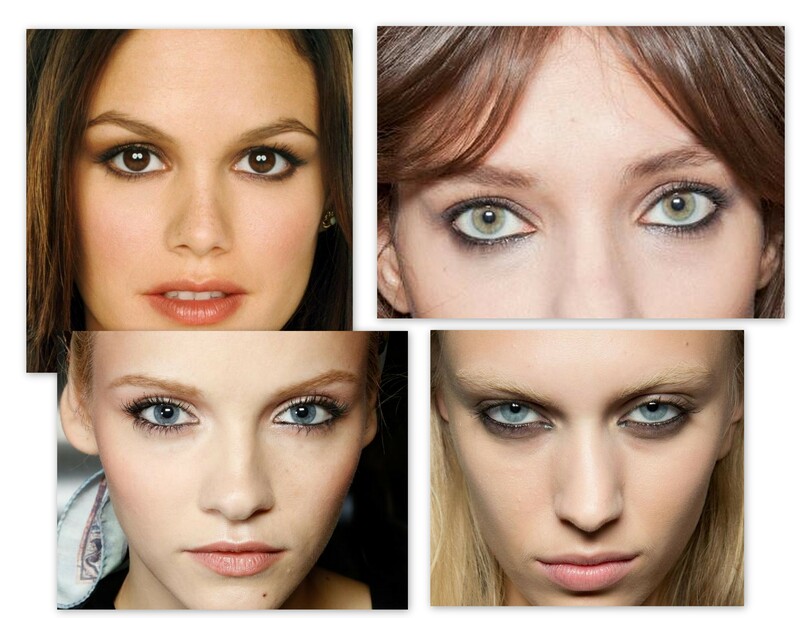 Turquoise kohl is a refreshing twist on the conventional black kohl and a must have fashion and beauty accessory. 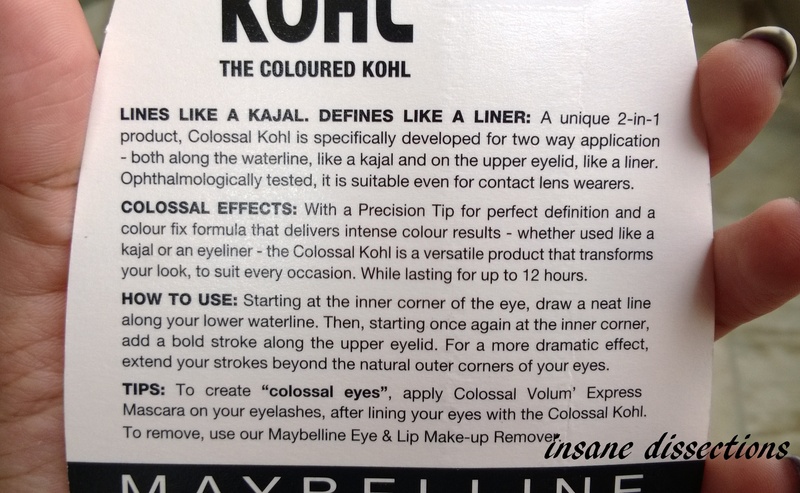 It comes in exact same packaging like its black variant: Colossal Kajal. Almost all of us know about that one. 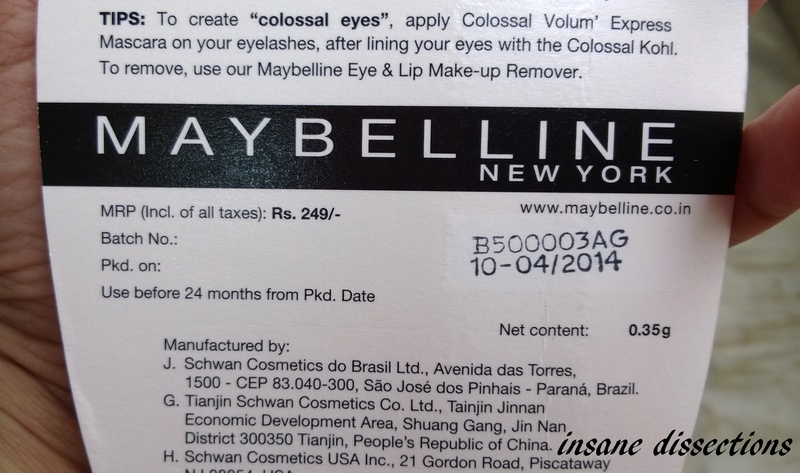 Colossal kajal from Maybelline afterall started the smudge-free kajal revolution in India. 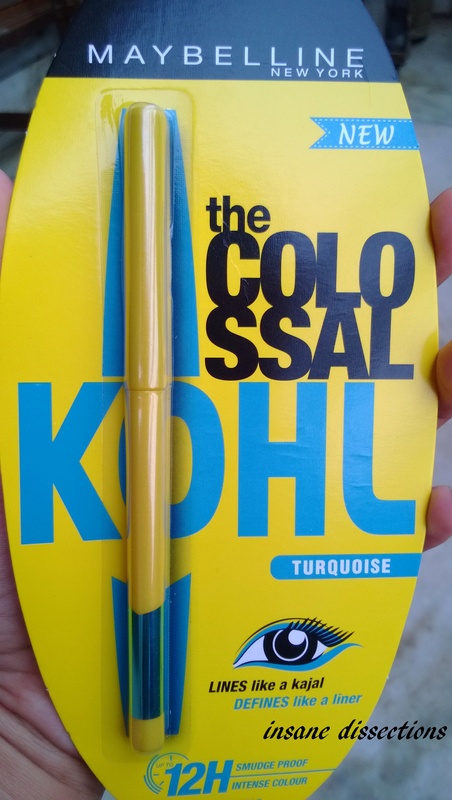 Colossal Kohl Turquoise has yellow plastic packaging with twist up pencil format and glossy strap of its name written on it. The cap is sturdy and clicks shut. 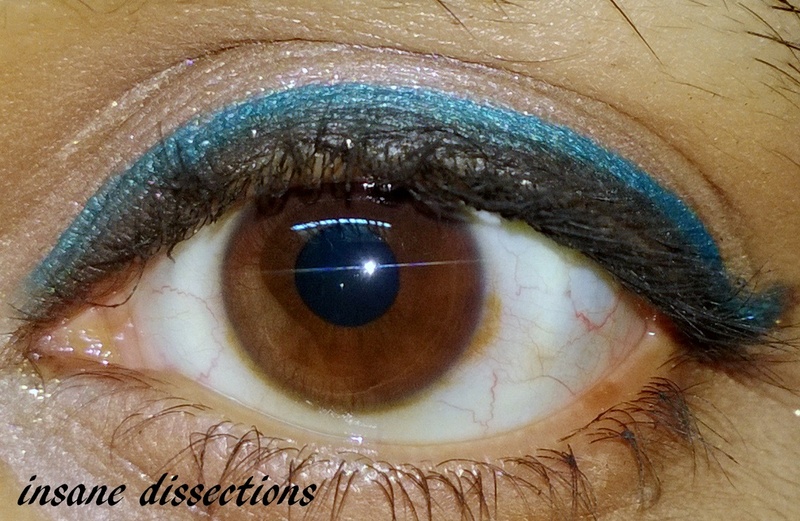 As the name says it is a bright blue- turquoise color with micro-shimmer in it. It is a pretty shade IMO. The color is decently pigmented on its own but still needs 2-3 swipes on eyes for full color buildup. However it gives full color in one swipe itself while swatching. Being creamy in texture it is very smooth to apply and does not tug or pull. I say it is exactly like its black variant- only turquoise in color. Even though I did not apply it on my water line but I have a feeling it will fade from the waterline pretty quickly, just like any other kajal does. It is waterproof and needs a makeup remover to remove it. It does not budge with water. I remove it with olive oil or vaseline. This color, though beautiful on its own will not suit most Indian skin tones unless you do a proper base makeup. Hide those dark circles and conceal your pigmentations. It looks tad light in color given that we are used to wearing black kohl. Most college going girls wear only a kajal and a lipgloss/lipbalm. And it will not look good on upper lashline unless you tweak it a little. It will not suit duskier complexion if you apply it as it is. 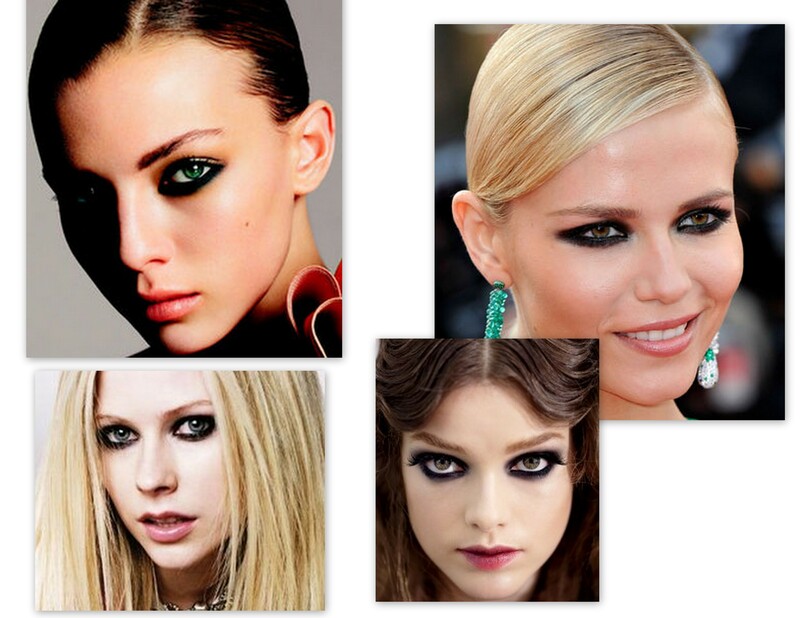 Since the color looks wee bit light on the eyes, applying it over your black colossal kajal or black eyeliner will make it a beautiful greenish color. 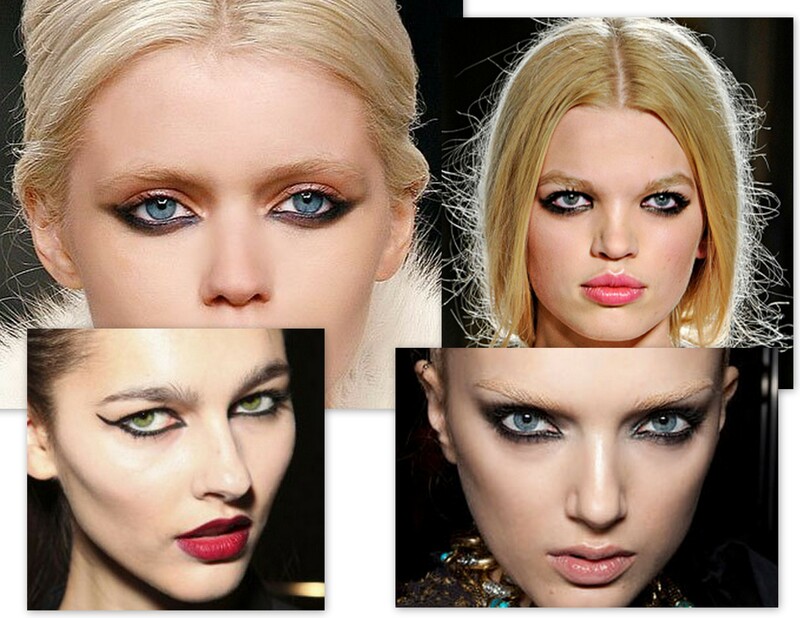 This color being darker will look pretty on the eyes and will suit every skin tone. Plus it is a refreshing alternative to the boring blacks. 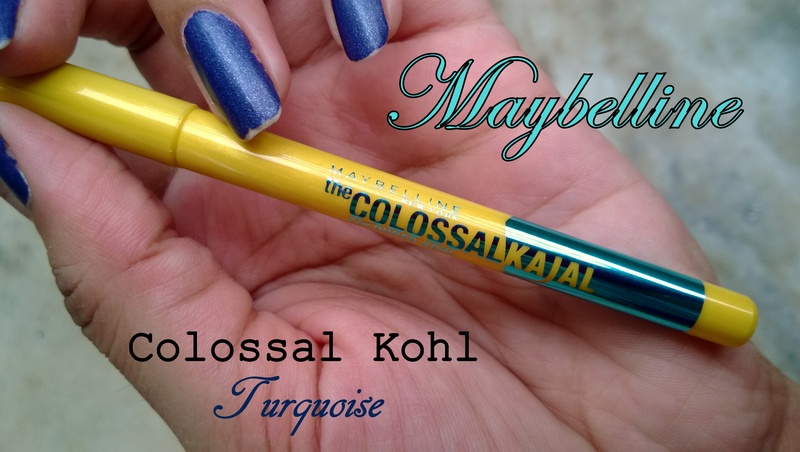 Apply your black eyeliner and line with Maybelline colossal turquoise kajal just above the black line. 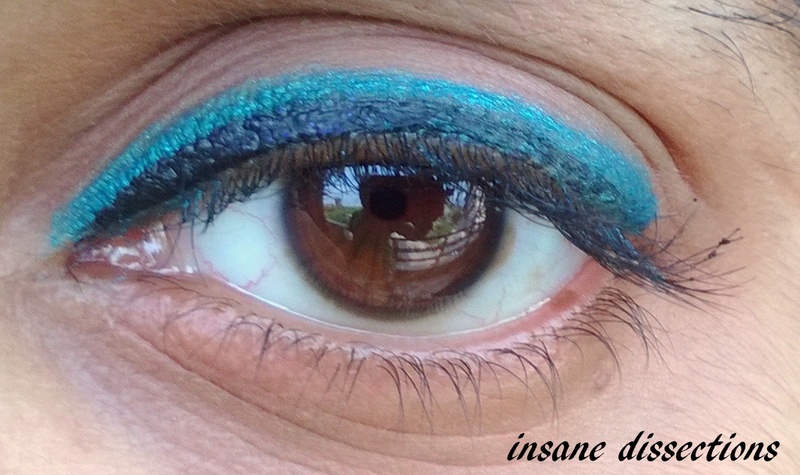 It looks dramatic this way and sooo wearable. 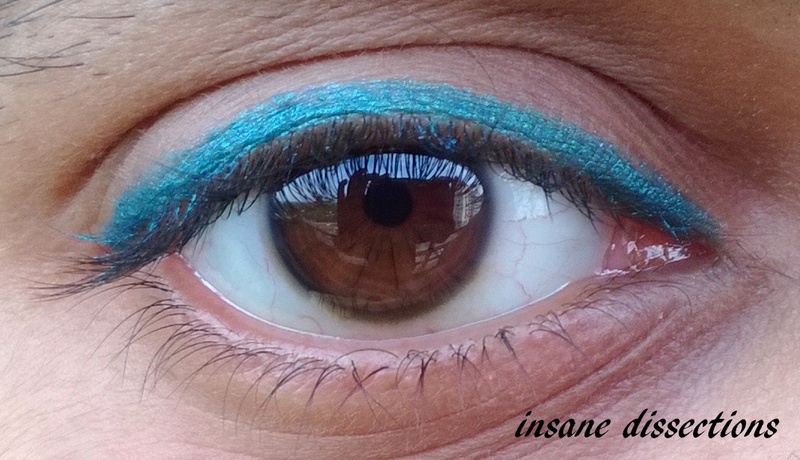 The beautiful turquoise color of this kajal does not get altered and because of the black eyeliner it doesnot look light on eyes either. Win win situation.